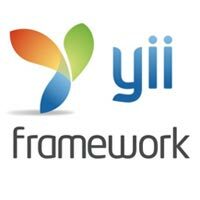 So today I have decided to have another go at learning the Yii framework. Being a big fan of Laravel 3 (now in version 4) I have decided to expand my understanding of how other frameworks operate. Yii is known for creating large scaled web applications. When I start my career in web development; having an understanding of Yii will benefit me greatly and will allow me to work on some exciting projects. I am using Larry Ullman’s book that I bought called The Yii Book. I find him to be a great teacher, he explains things very well. Being a fan of his previous book named PHP and MySQL for Dynamic Websites it allowed me to understand PHP and MySQL in more depth. The Yii book is still being written so I just download updates when I can. I did try and learn the framework before because I wanted to use a framework for my University Project. I didn’t think there was enough published content on the framework for me to understand how to use it. So I decided to use Laravel for my project and it turned out very successful.